35 LISTS Up Close with Awesome AnimalsThink you know your favorite animals? Study up on fun facts and fascinating trivia to drop at your next cocktail party. Chances are, you've never heard of a pangolin, but you probably know what one looks like. 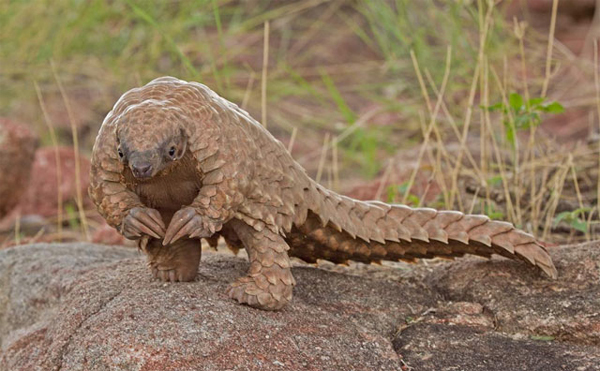 Pangolins are basically a real-life Sandshrew from Pokemon, and in the flesh they're still just as cute as they are on a card. What's more is that these guys are fascinating. They're a scaly mammal, known cuddlers, and they're pretty clumsy even at just trying to walk. In short, they're downright lovable. So if you're wondering what exactly pangolins are, prepare to be enlightened with some amazing pangolin facts. It's worth mentioning there's a reason you've probably never seen one of these critters before. Not only are they secretive in the wild, and don't survive long in captivity, but they are also critically endangered. In fact, every species of pangolin is, at the very least, listed as vulnerable, because of poaching and over-hunting. By the end of this list, you'll probably be head over heels for these odd little animals, and hopefully you'll be convinced that this is one weird but adorable species that is absolutely worth saving. If you've never seen a pangolin before, the sight of one might be a bit of a shocker. They can look like a possum mixed with a pinecone, or like something straight off of a Pokemon card. The fact is, their appearance is incredibly unique, because they are the only mammal with scales in the world. Armadillos come close, but they're not truly a scaled animal. Pangolins come in eight different species, spanning many different countries. One thing they all have in common is that they have hard scales all over their bodies. These scales aren't just for looks, either. The edges of these are razor sharp, and if the animal is bitten or grabbed hastily, the scales can actually cut skin and cause real damage. Unfortunately, this is the only real defense the pangolin has against predators. 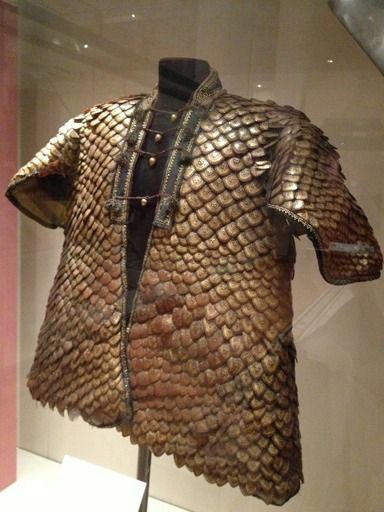 Pangolin scales have been found in ancient armor, and since then they’ve held a fascination in the military community. Because the scales are so rigid, but also so lightweight and flexible, it makes Pangolins an interesting example of armor, one that may be able to teach us how to better our own armor technology. 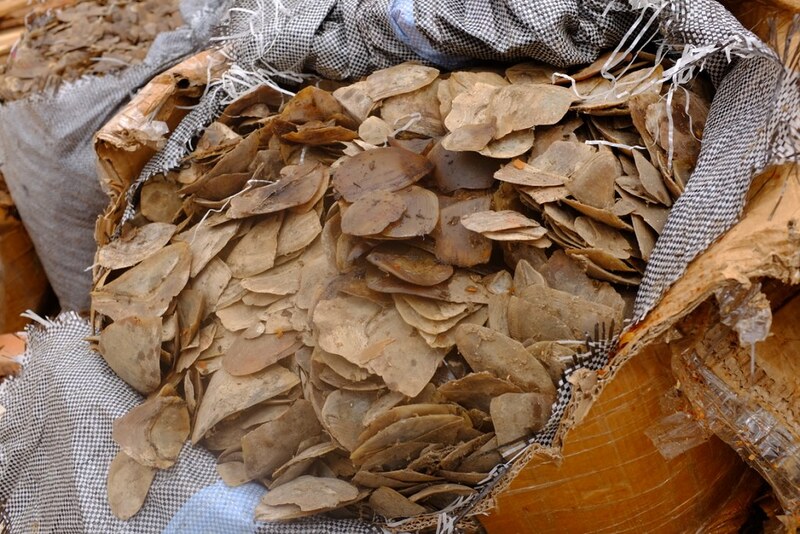 These scales were used along with metals, raw hides, horns, and seeds. Armor was made by sewing the individual scales onto a a military garb, and they were laid out much like an actual pangolin's skin. Soldiers from China, India, Greece, Persia, and the Byzantine Empire were known to wear these types of outfits. King George III of England was presented a coat of scale armor as a present in 1820. Given that these little guys are so cute and useful, it would make sense to leave them be, right? Well, many hunters don’t think so. Because they are easy to catch, and because their scales are bought at high prices for medicine and fashion, poachers thrive on illegal pangolin trade all throughout the world. People also like trying to keep them as pets, and they can be purchased in both Africa and in Asia. This trade has lead to pangolins being the most trafficked animal in the entire world. This also leads to their rapidly decreasing numbers. Out of the eight species of pangolin still in existence, four are listed as vulnerable, two are listed as endangered, and two are listed as critically endangered. If the poaching and illegal trade cannot be stopped, we may see some species of pangolin go extinct in the next few decades. One of the pangolin's most notable features is its very long, semi-flat, and scaly tail. In some species of Pangolin, this tail is for more than just balance and looks. In fact, the tail of many pangolin is incredibly strong, dexterous, and genuinely prehensile. This means they can grab things with it, use it for climbing, and even just hang upside down. Indian pangolins found in Sri Lanka, for example, live in the rainforest canopy their entire lives, rather than on the ground as with some African species. They use their tails to grasp branches to aid with their climbing, and can be sometimes found hanging upside down from trees. Other species from Africa who do not hang or have perfectly prehensile tails can still use their tails for balance, and for defending their bodies from attack.